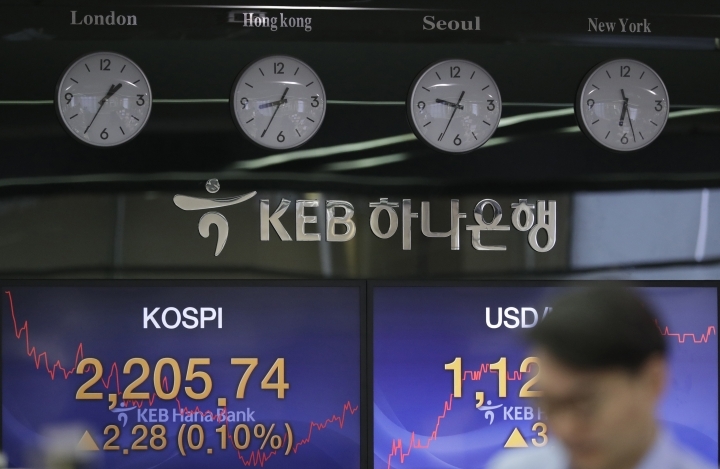 SINGAPORE — Asian shares were mostly higher Thursday on news that the Reserve Bank of Australia may cut interest rates, driving hopes that other central banks could come to the same conclusion. Markets in China, Hong Kong and Taiwan were closed for Lunar New Year. Philip Lowe, the governor of Australia's central bank, said in a speech on Wednesday that lower interest rates "might be appropriate at some point" if the country's unemployment rate keeps rising and inflation targets aren't achieved. The central bank kept its official interest rate at a record-low 1.5 percent earlier this week. But it downgraded its 2019 growth forecast for Australia to around 3 percent from 3.5 percent. "In adopting a more evenly balanced stance, the RBA has opened the door for a rate cut if increased global risks and the weaker housing market forces more downgrades in its sanguine growth or inflation outlook," DBS Group Research strategists Philip Wee and Duncan Tan said in a commentary. Australia's S&P ASX 200 rebounded 1.1 percent to 6,094.70. When borrowing is made less expensive, the increase in spending by businesses and consumers could give the economy boost. Central banks in the Philippines, India and the U.K will meet later today but they are expected to leave rates unchanged. Japan's Nikkei 225 dropped 0.7 percent to 20,736.89 on concerns over U.S.-China relations. U.S. Treasury Secretary Stephen Mnuchin and trade representative Robert Lighthizer will lead a delegation to Beijing next week for the next round of trade talks, but the issues at hand are complex. 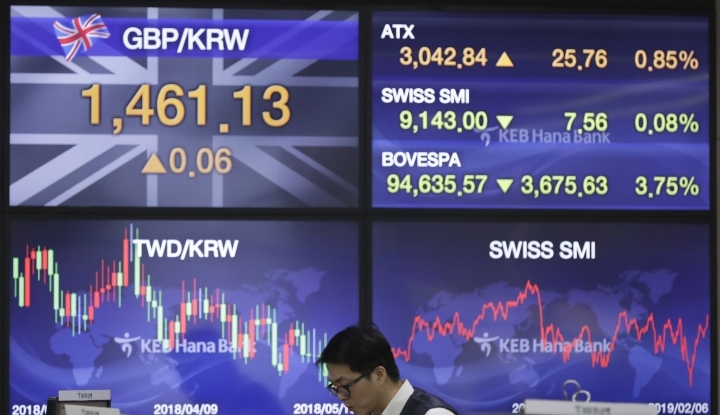 In other trading, New Zealand's NZX index advanced 0.8 percent to 9,914.64 and South Korea's Kospi rose 0.3 percent to 2,209.76. Stocks rose in Singapore and the Philippines but fell in Indonesia. WALL STREET: Video game companies Electronic Arts, whose titles include "The Sims", and Take-Two Interactive, maker of the "Grand Theft Auto" series, reported weaker-than-expected earnings on Wednesday. They also posted disappointing forecasts because of tougher competition. Communication sector stocks tumbled, snapping the market's five-day winning streak, but strong earnings by other companies cushioned the blow. The broad S&P index lost 0.2 percent to 2,731.61. The Dow Jones Industrial Average fell 0.1 percent to 25,390.30 and the Nasdaq composite dropped 0.4 percent to 7,375.28. 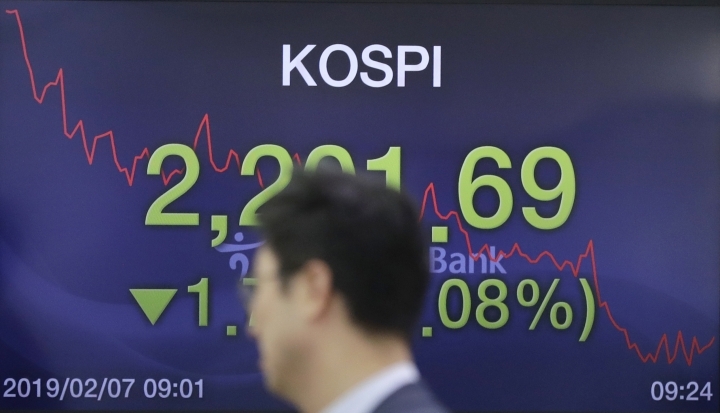 The Russell 2000 index of smaller company stocks eased 0.1 percent to 1,518.02. ENERGY: U.S. crude lost 10 cents to $53.91 per barrel in electronic trading on the New York Mercantile Exchange. It gained 35 cents to settle at $54.01 per barrel in New York. Brent crude, used to price international oils, gave up 18 cents to $62.51 per barrel. It added 71 cents to close at $62.69 per barrel in London. 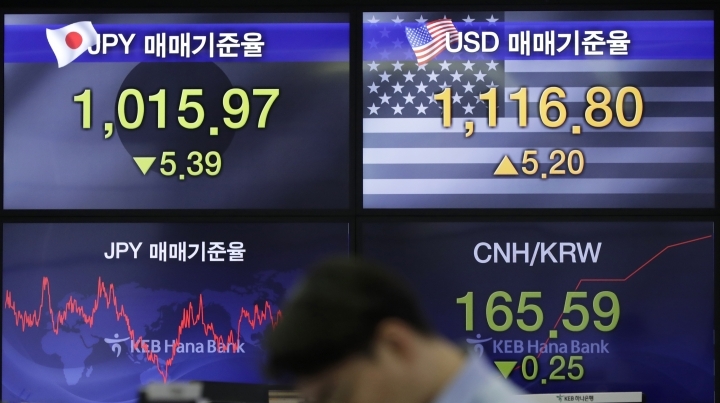 CURRENCIES: The dollar eased to 109.87 yen from 109.99 yen late Wednesday. The euro weakened to $1.1359 from $1.1363. Daily Transparent is dedicated to bring you fast, accurate and transparent news from all around the world. Copyright © 2015 - 2019 Daily Transparent. All Rights Reserved.